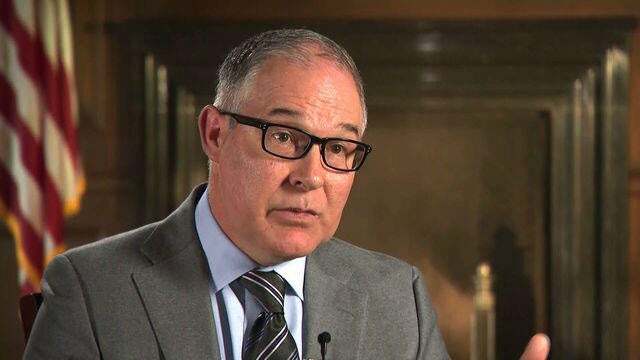 PRUITT: It’s not… I mean, our focus here should be on stewardship. GARRETT: There are others who also wonder about those who have come from industry who in leadership position here. Why should the American public be comfortable with someone coming from industry and into this agency? PRUITT: I don’t buy the paradigm, Major. This paradigm that says, “We have to choose industry over environment or the environment over industry” is the old way of thinking. RUSH: Bingo! And this is the classic leftist setup. The straw dog that private businesses — corporations — are evil, and they’re destructive, and they want to harm customers and damage the planet. And this guy’s saying, “No, no, no. We don’t look at it either/or. We’re gonna do both. We’re gonna focus on the environment and business because we can,” and they are.